Yesterday I rode across Kent which was absolutely beautiful, from Tunbridge Wells through. Golden barley rippled in the sun as pretty little village gave way to pretty little village. I hadn’t realised Kent was so hilly, it pretty much rolled which made the ride harder than expected. Some highlights were Lamberdown and Tenterden. 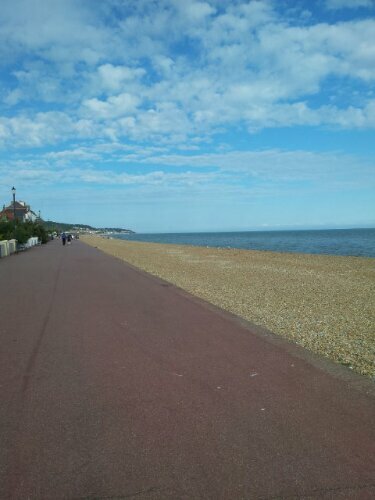 And reaching the sea and riding the coastal path from Hythe was great. Sadly at the end Folkestone was an utter dump, waste of a coastal location! It’s sad that’s the last place I’ll see in England but at least it made it easier to leave! August 16, 2013 in Countries, Cycle touring, Europe.